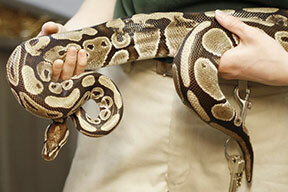 The Reptile Roadshow makes school an educational and fun way to learn about reptiles and animals. 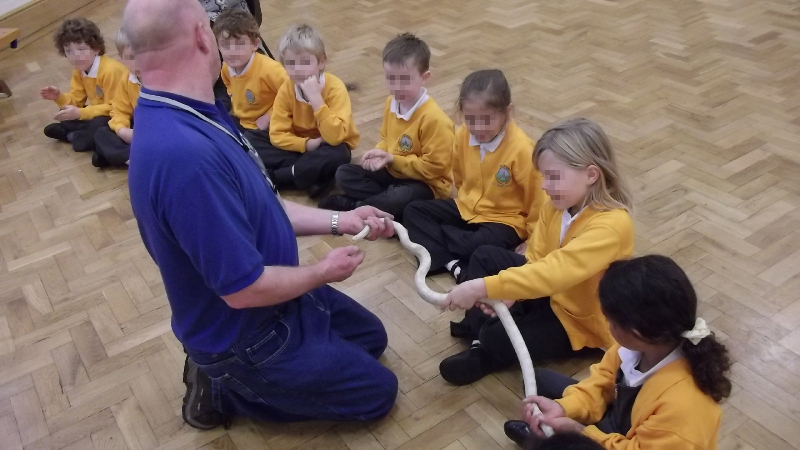 The show can be tailored to suit the needs of the audience and the teacher, be it following a rainforest topic, a science lesson or simply to cater for children of various ages (4 years+) and abilities. 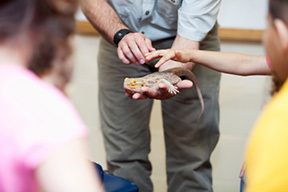 Not only do we discuss animal habitat and environments but the animals themselves provide an interactive and hands-on experience for everyone to enjoy. 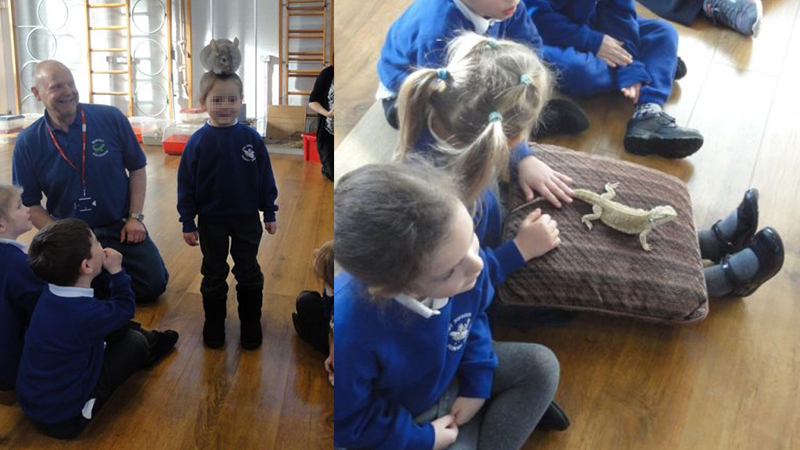 We take time to answer all your questions, such as “Do snakes have bones?” “Can tortoises climb out of their shells?” “How do you weigh tortoises?” “How do lizards defend themselves from predators?” “How many legs do millipedes actually have?” – so that everyone comes away with a greater appreciation and understanding of the animals. 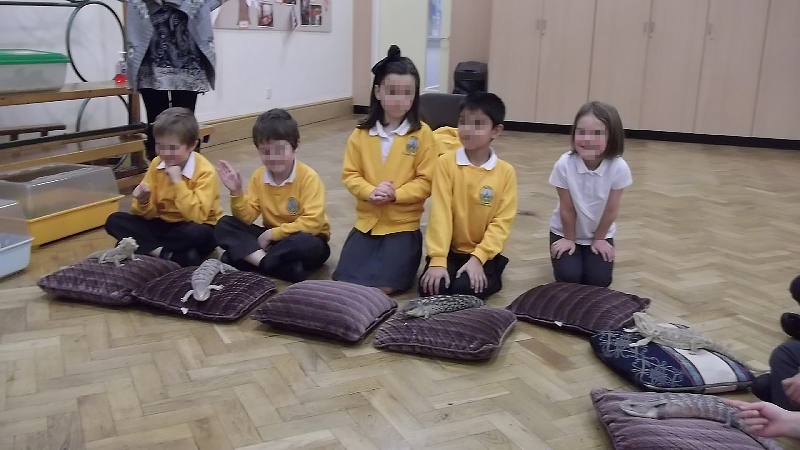 We can deliver your reptile show at home (such as to a Home Tutoring Group) or in school. 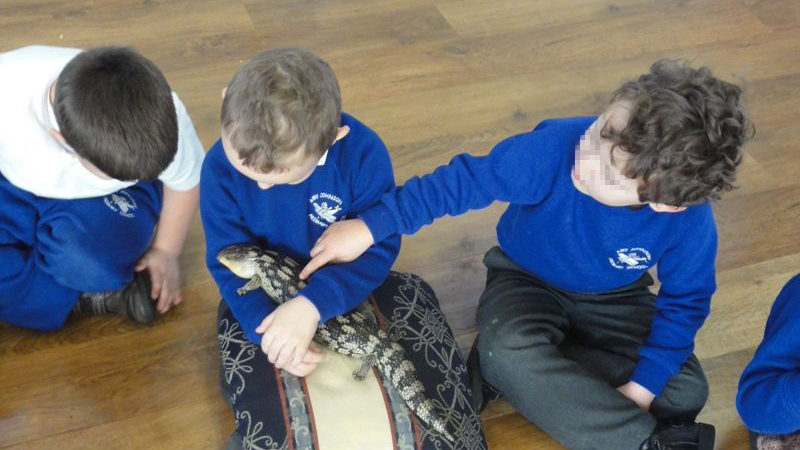 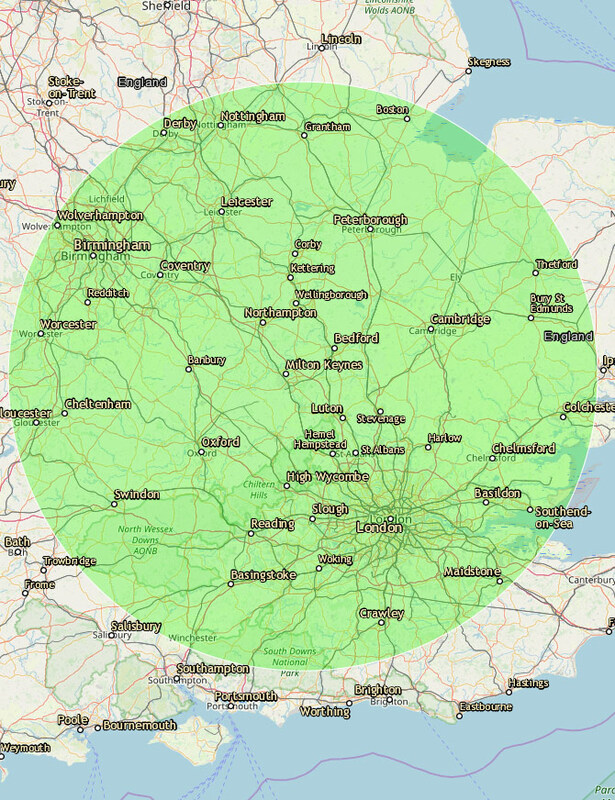 Our specially adapted shows for nursery children and children with learning difficulties or disabilities have been honed over the years to make them as successful as our everyday events, meaning that we often return to homes and schools all over the country time and time again. 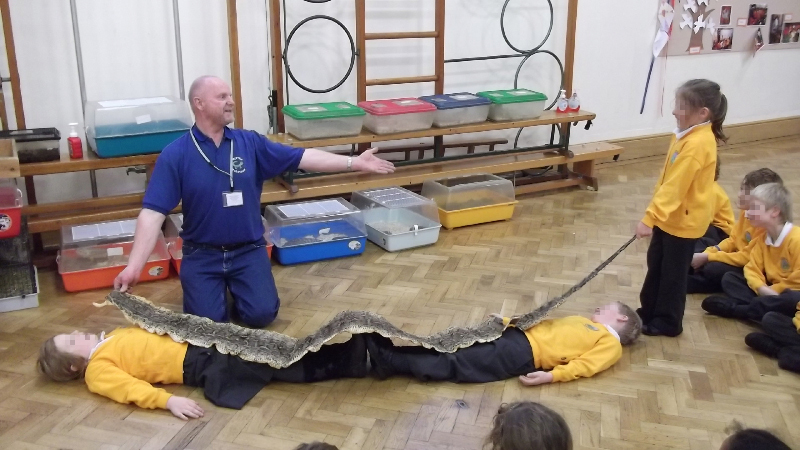 Our Reptile Roadshow is a truly unique educational event that is incredibly fun and fascinating for children. 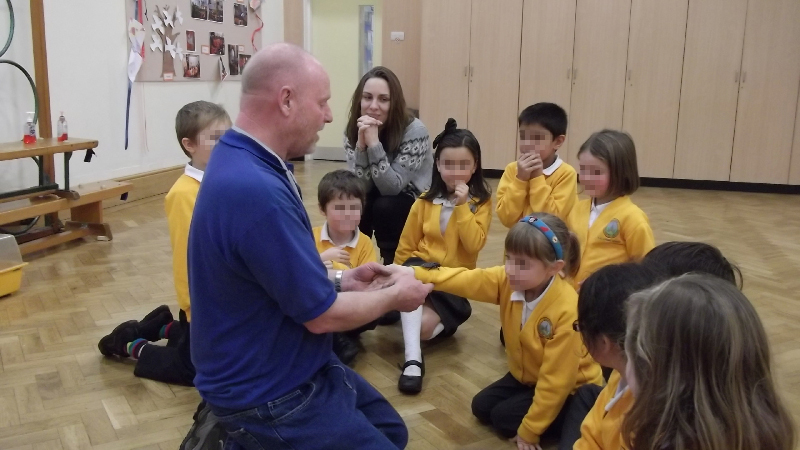 Dates for the year fill up fast so please remember to BOOK EARLY.